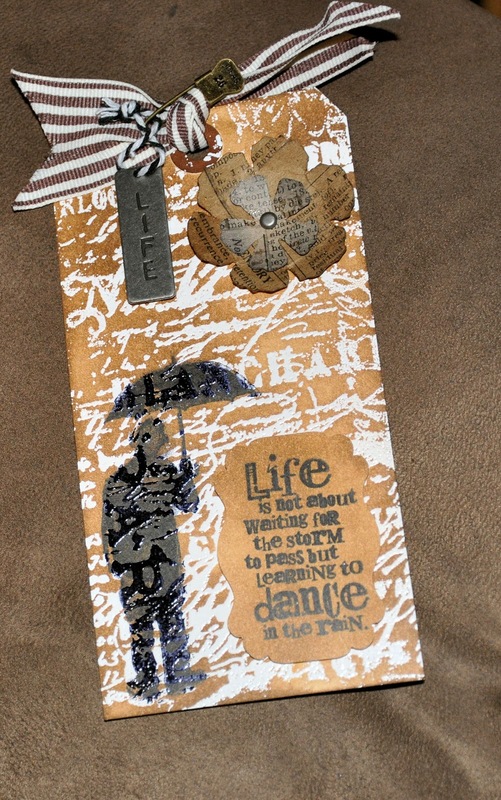 I am so excited I joined another Creative Chaos group activity where we get a canvas with 11 different tags on it. 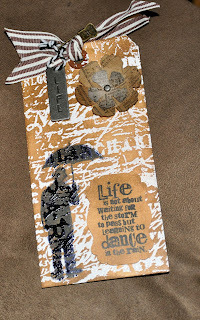 This one is all about words and phrases and it is again from the "All Things Tim" yahoo group where we all Love Tim Holtz. 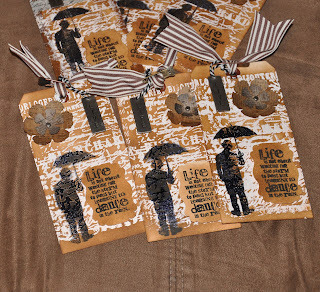 It is made with Tim Holtz materials and I liked the Halloween one so much that I entered two groups so I will have two of the words and phrases canvas to hang up when they are finished. :-) I will upload pictures of my tags here when they are finished I have the one for group 3 finished it is done in a large tag. The one for group 1 is a small tag and they seem more of a challenge to me for some reason. Love your background on this! I love this tag! 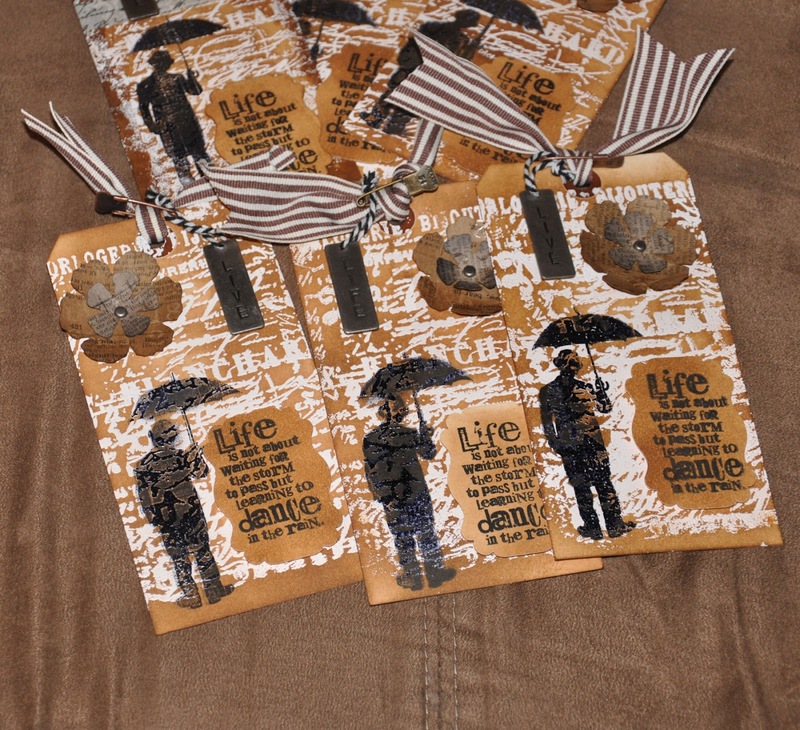 I'm in Group 3 so won't get one :o( Did you use Picket Fence Stain for the background? These are terrific, Lesa! I love the color combo of caramel, black and white. Thanks ladies , I am very happy with this tag. I did a new technique out of one of tims compendium of curriosities books that I had never tried before. I loved the way they turned out.